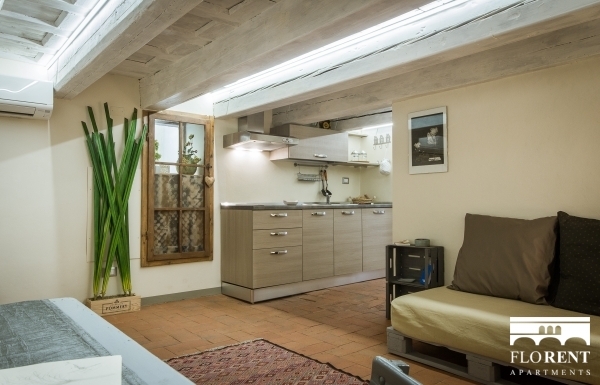 Delightful apartment of 50 m2 located on the enchanting Via Maggio, a few steps away from the lively Santo Spirito Square and a short distance from the river Arno. 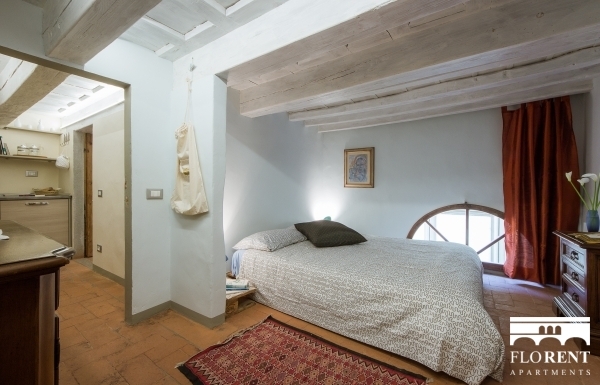 Super charming and cozy, this apartment is tastefully decorated, while still retaining the historical charm of the past. 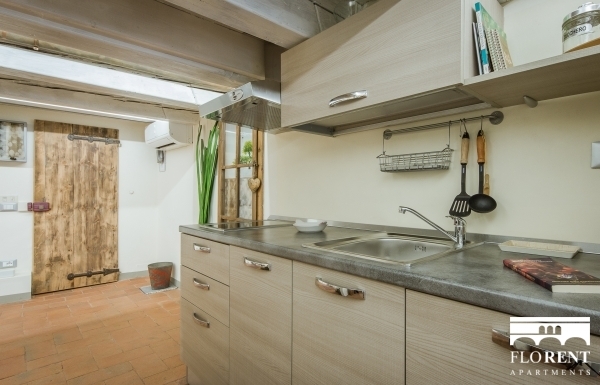 Upon entering the apartment, you shall find a lovely living room area, which opens up to a fully equipped kitchen. 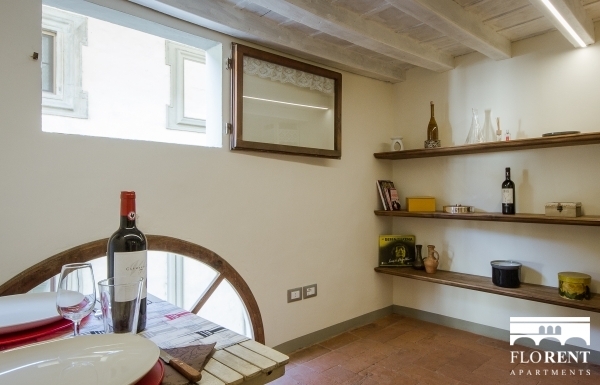 Leading on from the kitchen is a lovely little area to dine in, with a sweet little window onto Via Maggio. 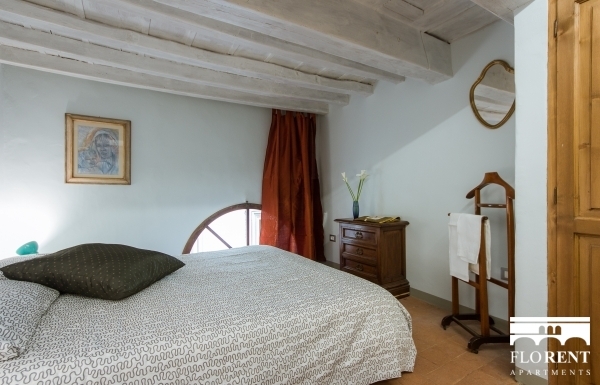 This apartment has an inviting double bedroom, perfect for winding down in after a long day of sightseeing around the city. 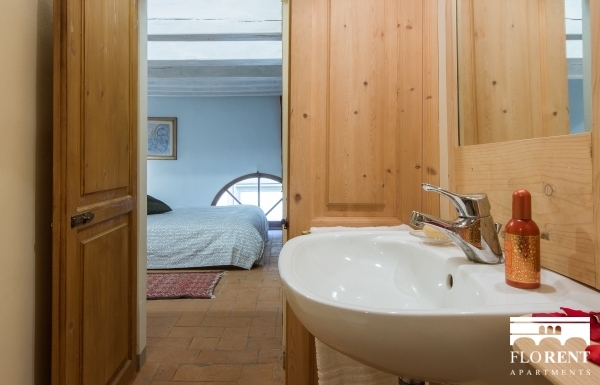 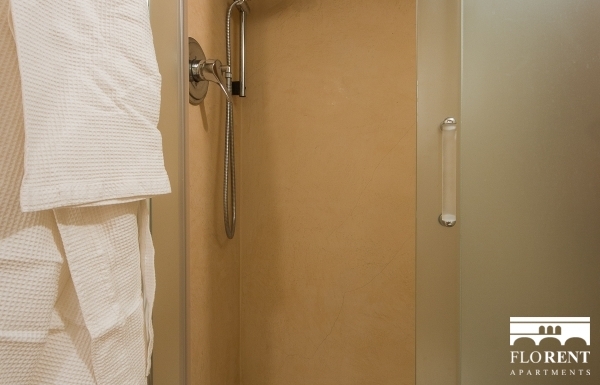 Adjoining the bedroom is a lovely bathroom with a large shower. 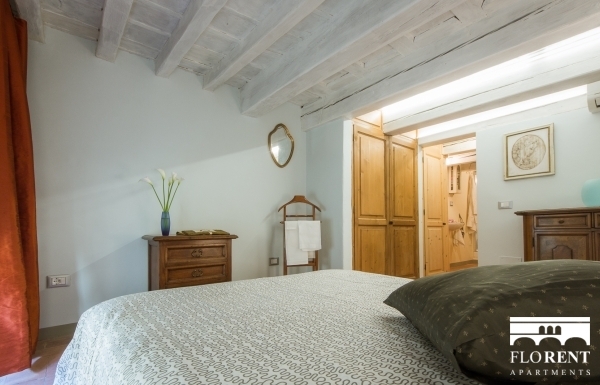 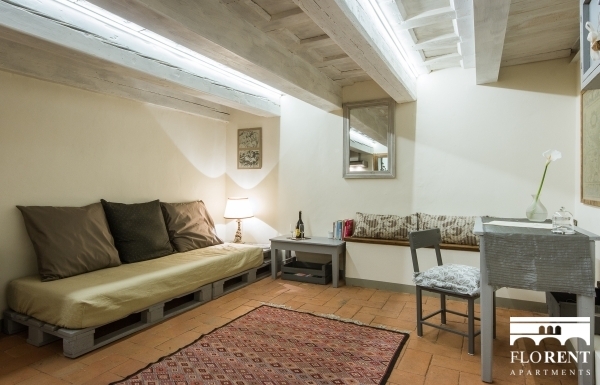 The exposed beams throughout the apartment is what makes this place extra charming and authentic, but please note that this also means the ceilings are unusually low for international standards so this may not be the ideal place for people of height! 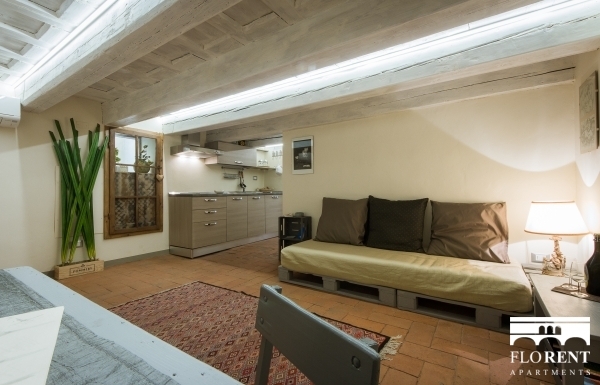 *** 178cm is the height from the ground to the basis of the wooden beams. 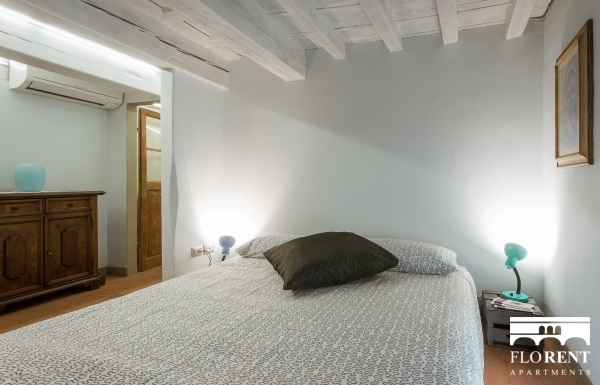 *** 203cm is the height from the ground to the ceiling (the part of the ceiling with no beams). 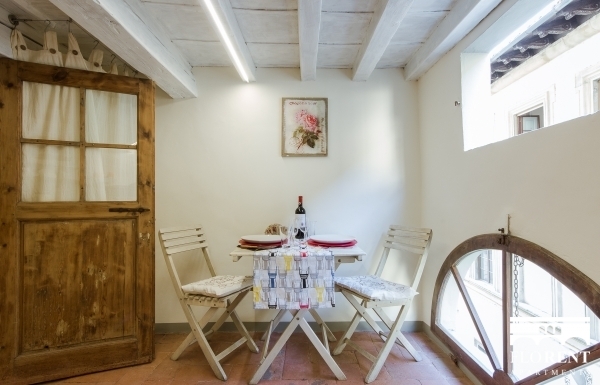 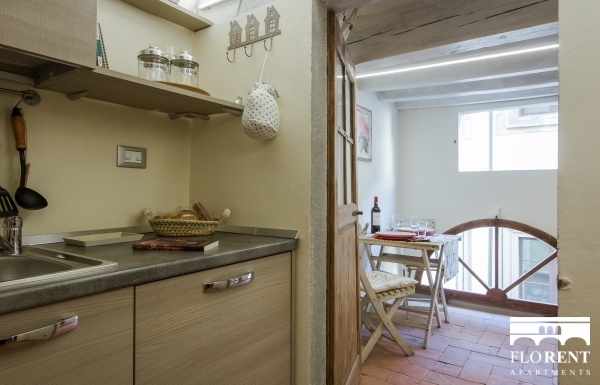 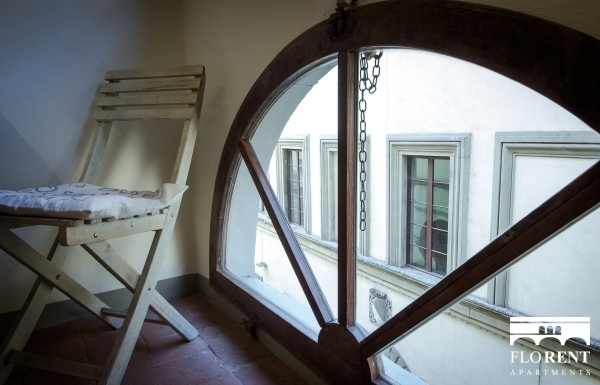 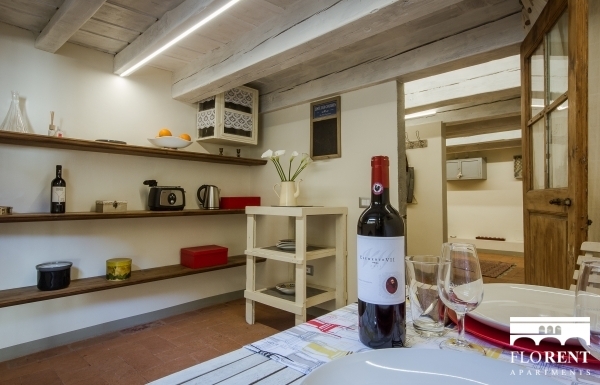 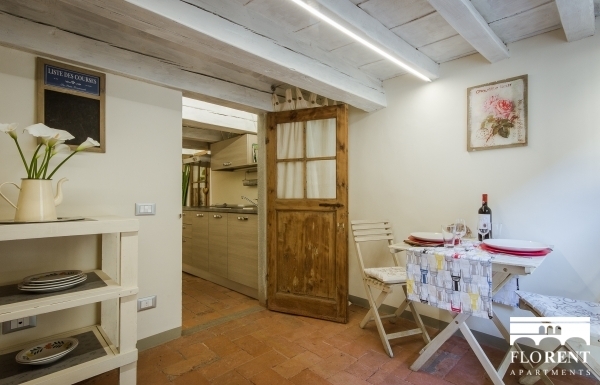 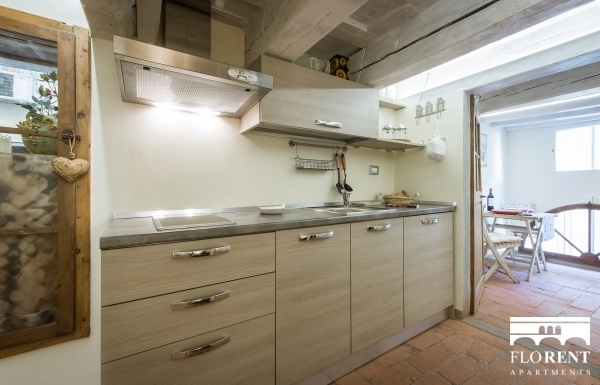 Aside from the low ceilings, this charming apartment has style and a privileged position in Florence. 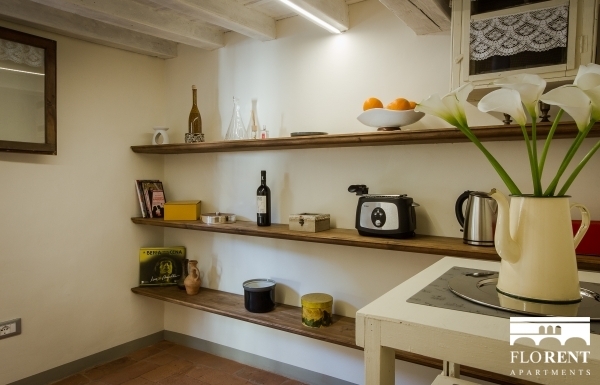 The apartment is located in a magical district known as Oltrarno. 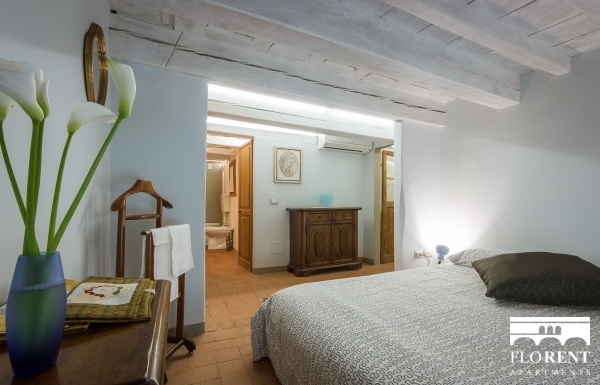 The name “Oltrarno" literally means “beyond the Arno". 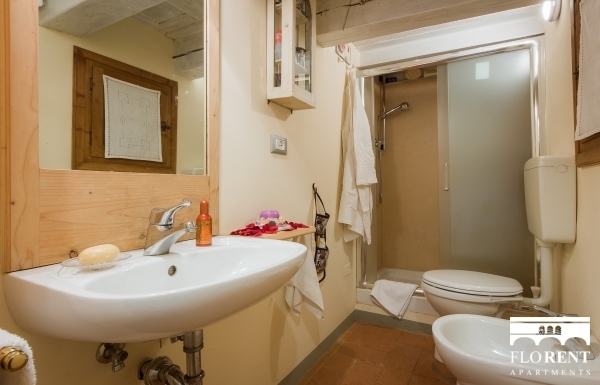 This side of the river represents the more truer characteristics of Florentine life if compared to the modern chaos now surrounding the Duomo, which is also why this apartment is an ideal base. 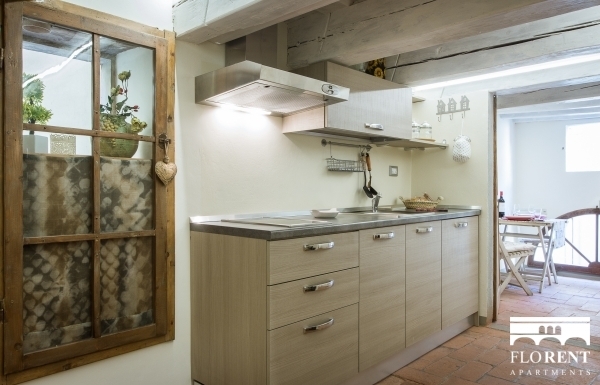 Traditionally an artisans' quarter, you can still discover plenty of ateliers still functioning in and around Via Maggio, alongside the many extraordinary antique stores. 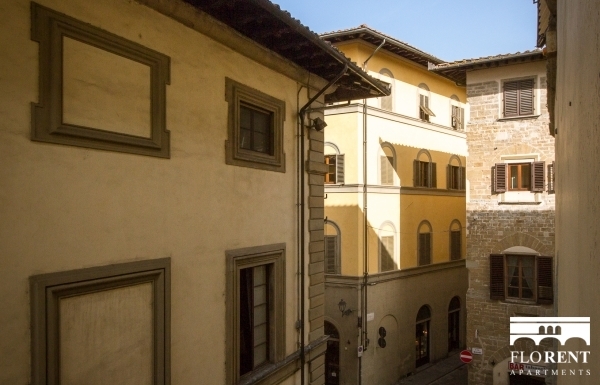 Ponte Vecchio, the most famous and oldest bridge in Florence, is still home to an array of jewellery shops and goldsmiths, which is only a short walk away. 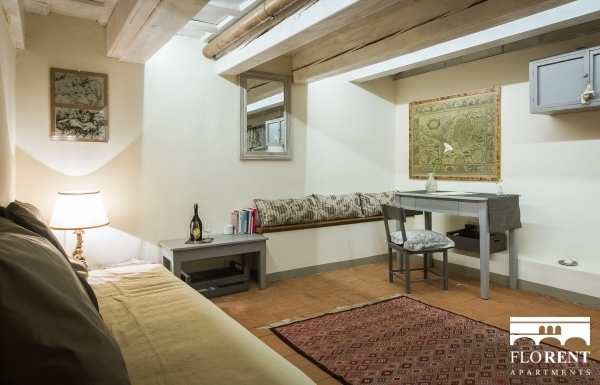 All major sights and attractions are easily reachable and you’ll be spoilt for choice with the endless selection of incredible restaurants, bars and cafés, not to mention the wonderfully fresh produce market held every morning in Piazza Santo Spirito. 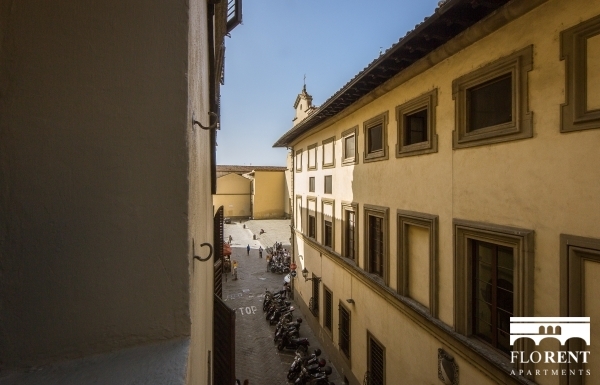 Last but certainly not least, located literally at the end of Via Maggio is the impressive Pitti Palace and Boboli Gardens… Something not to be missed, especially on a glorious sunny day.